Osteotomy refers to a type of surgery in which bone is strategically cut in order to alter the alignment, shorten it, or lengthen it. Osteotomy can often be used in conjunction with another surgical procedure for the purpose of realigning a joint to relieve the pressure on the damaged part of the joint, or adjusting the bone so as to correct forces which would otherwise continue to wear down an already damaged joint. The ultimate goal of osteotomy is to interrupt the degeneration/injury process, restore as much normal anatomical alignment as possible, or possibly even help patients delay or avoid total joint replacement. You can contact us today at 310.736.2793 to learn more about how osteotomy is used in conjunction with certain surgical procedures to deliver the best results possible or to set up an appointment with a top orthopedic surgeon in Los Angeles for orthopedic services and sports medicine. Osteotomy is defined as an incision into or cutting of bone. This type of surgery involves cutting the bone and realigning it. Osteotomy may be used along with other types of surgery in order to relieve the knee from degenerative forces, for example, or during joint reconstruction after trauma. These kinds of procedures can also be employed for patients suffering from osteoarthritis. Osteoarthritis is a condition in which the cartilage in the joints breaks down, leaving the underlying bones to rub and grate against each other. Osteotomy for osteoarthritis can be a very effective treatment, especially for knee joints. When an osteotomy is done to help correct for cartilage wear or deformity on one side of an injured knee, the surgeon will remove a wedge from one side of the bone to be adjusted. This realigns the body weight toward the healthier cartilage on the other side of the knee, and recreates space between the ends of the bone which used to rub together painfully. An osteotomy may also be used in addition to a procedure like autologous chondrocyte implantation (ACI). If the osteotomy is not done at the same time as the cartilage restoration procedure, then it is very possible that similar pathological forces may continue to act upon the knee and ruin not only the new cartilage restored surgically, but also the patient’s chances of protecting themselves from re-injuring that area. Q: Who is a good candidate for osteotomy? A: Osteotomy is often used in combination with other orthopedic surgical procedures. In order to determine who might be a candidate for an osteotomy, the surgeon will examine the alignment of the patient’s bones to be able to recommend the correct procedure if abnormal physical forces and/or bone alignment are found to be causing or adding to the patient’s problem. Q: How long is rehabilitation from osteotomy? A: Rehabilitation from osteotomy will depend largely on the individual patient as well as the other surgical procedures done at the same time (if any). In many cases, a joint immobilizer may be used for one to two months following the surgery in order to allow the bone to heal as much as possible without interference. The purpose of this is to limit movement and allow for proper healing. Patients may either start physical therapy shortly after the surgery, or they may have to wait until the bone is mostly healed before they begin. Q: Will osteotomy work for me? A: While osteotomy has been proven effective for patients who are suffering from the results of trauma or arthritis, the final results depend largely on each individual patient. Your doctor will be able to give you a more personalized assessment of what osteotomy can do for you if it is recommended. Q: Does an osteotomy mean I’ll never need a total joint replacement? A: While osteotomy is often an effective method for joint preservation, and it can significantly delay or postpone the need for arthroplasty, it is not guaranteed to eliminate all need for joint replacement in the future. Q: What are the risks of osteotomy? A: Osteotomy, like any surgery, has certain associated risks. These include bleeding in the joint, inflammation of the joint, nerve damage, infection, blood clots, and failure of the bones to heal properly. Each patient must carefully consider the risks of any considered surgical procedure and determine if they wish to proceed. Some patients may not wish to undergo such a procedure, while for others, their pain is too great to ignore and they wish definitive treatment and an attempt at serious relief from chronic pain and dysfunction. 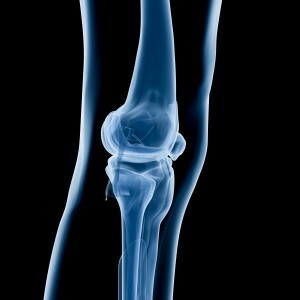 Do you suffer from joint pain as a result of trauma or arthritis? Osteotomy may help as a definitive surgical solution needed to finally experience relief of pain without undergoing a total joint replacement. Steven W. Meier is a board-certified orthopedic surgeon and leader in the field of joint preservation. Please contact us today at 310.736.2793 or visit medlineplus.gov to learn more! Next, learn about cartilage restoration.